The major theme in this portion focuses on returning to G-d; the Hebrew word shuv comes very often into these passages, returning to the Land, to G-d and to Torah obedience. This passage reflects so much the final thoughts on the whole Chumash journey, it takes a good hard look at the whole scenario and proposes a way ahead. It begins in the Garden, and as the 5 books of Torah draw to a close, we find signs pointing to a future where not just the problems begun in the Garden are highlighted, but solutions too. This portion is about standing before G-d to enter into the covenant that would define and form us from that point on. It would be the basis of our blessing and our disciplining. It would give boundaries to the Jewish people over time and Torah which would continue to be the enduring quality of Judaism. The Torah, from it has sprung all concepts of justice, righteousness and fairness which have impacted the world far beyond the reaches of ancient Israel. The fact that we even today can talk about notions of love (towards our neighbour and G-d), mercy, grace, forgiveness, atonement, faith and salvation are all due to the Jewish people and the Torah that when lived out creates Judaism. Without us, the world would be a very dark place indeed. Moshe is coming to the end of his life; he would not be going on this journey into the Land with his brothers. He had to pass on the teaching and understanding to the next generation, and note to whom it is given in Deuteronomy 29:14-15, to the ones not with you today, it reaches into the future. Moshe sees the future clearly as a man of great spiritual discernment. There’s more to say, and he wants to say it. When you are close to dying you don’t spend time with chit chat. What is essential you pass on, what do the people really need to know? What does Moshe begin to focus on here? You would think that he would focus on a great future, a time of continued expansion and growth, a future full of military conquests and dazzling economic achievements, how the world will recognise our superiority and be drawn to us just like a moth to a lamp on a dark night. That would be the human way of looking ahead, slanted by natural bias. In fact what we find are comments recorded for us that make very painful reading. Moshe knows, being the wise and spiritual man he was, that his people would not walk in faith and trust the Lord for our blessings and prosperity. Read Deuteronomy 30:1. We can focus on one word: when. Not if. Our galut was as inevitable for Moshe as history has recorded for us today as fact. In fact in next week’s portion Moshe recounts the times to come when Israel would rebel against the Lord and fall away so badly that ALL the ‘curses’ uttered in this covenant would come to pass. He even tells them this as if to warn them so when it happened they could avoid it. Imagine how Moshe felt. The people he loved and had led through the desert, the people he knew had a future because G-d had spoken, and yet feeling the same pain that G-d feels with us, all of us, even as He loves us and we walk astray. Moshe wasn’t the only one who predicted trouble ahead. In fact Yeshua Mashichanu did too. In the Besorah according to Mattityahu we read of Yeshua’s predictions just as this passage in Deuteronomy contains Moshe’s warnings. Both realised that the weakness of humanity would cause true Torah observance to be weak, they knew what the human heart was like. Both predicted a dire future for any of G-d’s chosen people who failed to walk in the paths of Torah, as well as predicting a sure return to G-d and the Land. Our history confirms this to be true. There are some within other forms of Judaism that would like to say that ‘true’ Jews never left G-d or the Torah, but the historical truth lays before us bare for all to see for the last 2000 years; the Jewish people were exiled and didn’t return until now despite the many streams of Jewish thought and practice in the first century. On top of this the Torah itself depicts that the Torah is not being kept, and in human strength won’t be kept, despite any delusion that it is. Yet G-d deals graciously with us. His judgements and chastisements are meant to correct not punish for punishment’s sake. He is more interested in your obedience than in chastising you. He is gentle and knows where to stop! The fact that Israel is still being pursued around the globe is evidence of the eternal nature of this covenant. The Jewish people as a nation in the first century were not keeping Torah in the way G-d had demanded (and still demands), and so for 2000 years the Land was desolate, its inhabitants spread around like seeds in the wind. But since 1948 we are back, and all this due to the ever faithfulness of G-d and His word. But we began this with a question in the title. Asking the right questions. Read Deuteronomy 29:24-25. If the nations around us are asking this, how much more so should we ourselves. In fact in Deuteronomy 30:1 it talks of a light going on, a looking at Torah that convicts, ‘a calling to mind’ of what has happened. 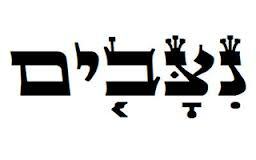 Yet the Hebrew is deeper than that, literally it talks about ‘taking or returning it to your heart’. If there was ever a true statement it is this: very few people are good self-evaluators. Most live in a delusional world where they are mostly if not always right and everyone else wrong, and so fail to understand what is happening in their lives. If you want to know the answer to the way your life is, you have to ask the right question. You have to be able to stand back, analyse and draw conclusions, then be able to apply them to bring about change. Few it seems reach this level. But the passage before us demands this. We need to ask the questions of why we have been driven like chaff around the world, persecuted everywhere we’ve rested, and then do something about the answers, however unpalatable they may at first glance seem. Let me quote another Jewish man writing in the first century: Ya’akov the brother of Mashiach. Read Ya’akov 1:21-25. According to history he headed the first Messianic Jewish din in Jerusalem. His comments are good, if we walk away we forget what we looked like when held up against the true image of righteousness contained in the Torah mirror. The solution? Our portion is clear about this too. Deuteronomy 30:6. Both here and in Deuteronomy 10 the solution to the wayward heart, which is where all our rebellions begin, is to have it circumcised. This only is possible by supernatural means. If circumcision in the flesh were enough, we could all be saved by fleshly actions and deeds, but we can’t. It isn’t enough. Jeremiah 31 makes this clear that Torah has to be written on the heart, which is the circumcision of the heart, Ezekiel makes it clear in 36:24-28 too. Now we are free to be obedient. And the end? Read Is 62:1. Her salvation will shine forth. This IS the future of our people.